Sometimes doing things God's way hurts and doing things our own way turns out just fine in the moment. Moses and Aaron learned the hard way that just because disobedience "works" in the moment does not mean there aren't serious long-term consequences. Join us as we learn from these two men that integrity and obedience to God will always get you further in the end than deceitfulness or disobedience. In the stress of the moment, we often struggle to see the forest and not fixate on that single tree! When we are hurt by others, we often desire to retaliate. What's the alternative? To see those awful experiences as God sees them, to refuse to pay your pain forward, and to miss what God is doing in you and through you. The gap between young and old widens more by the month, it seems. How do we disciple the next generation without abandoning the gospel? It is possible to win the next generation for Christ but it will be an uncomfortable, but necessary, journey for us. But we can do this! Join us as we see how young people today don’t care about what you say is true; they care about what you show them is real. King Josiah is remembered for initiating the greatest spiritual reform since Israel became a nation. As we study his life, we’ll see that lasting outward reform begins with a sincere heart commitment, is sustained with the help of others, and keeps God’s Word central. As we continue to ask God to help us follow him into what’s uncomfortable, let’s revisit and cherish what he has already communicated to us. Some stories in the Bible make you think, "I can relate to that person!" The story of Gideon is one where we see Gideon's very human response to God's superhuman request. 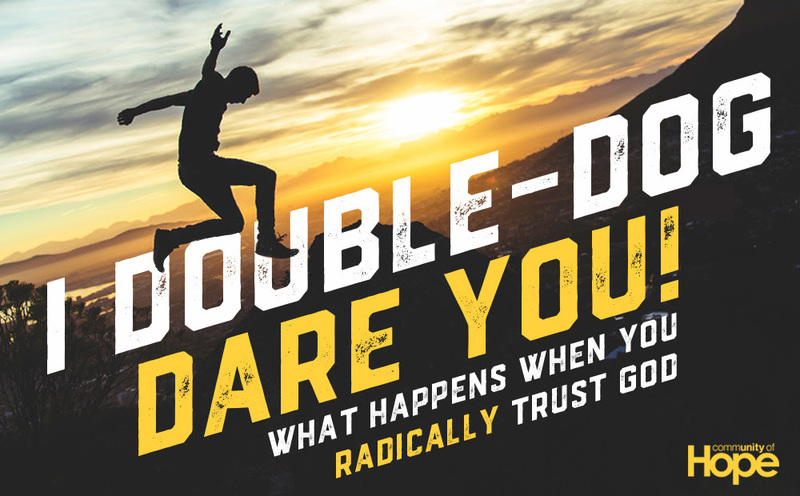 Join us as Mike Tabor from The Happy Church officially "Double-Dog Dares" us not to learn something about discounted leadership. Equal commitment. Equal sacrifice. What does that look like when each of us has different gifts, levels of experience, and resources to offer? Our desire as a church is that each person would contribute to what God is calling us to as His hands and feet in a broken world. Join us as we look at the story of Nehemiah. We'll discover that when we all believe in the calling God has given us we will each choose to take a leap of faith into the uncomfortable, equally contributing according to what we are able. It is daunting to step into a new territory, a new challenge, or a new normal. But what if God is calling you toward that unseen, unrealized destination? What makes the difference is whether we are fully convinced that God has called us or not. Join us as we discover from the nomad Abram that when we truly know our God-given purpose in life we will choose a leap of faith into the unknown, precisely where God calls us to be. Ever felt like God was asking you to do the impossible? The truth is God doesn't expect you to do the impossible; He invites you to do the uncomfortable. As we begin a new series on Mother's Day, we'll see from the biblical story of Esther that God is always at work around us even when we cannot see evidence. Join us as we learn that when we know whose we are, we will choose to take a leap of faith into the uncomfortable, right where God wants to use us.